Caroline Kelner is orchestrating another fun Food Packaging Event on Saturday, May 12 between 10 am and 3pm at St. Brigid Church parking lot in Pacific Beach. All are welcome to help assemble 57,600 meals for the poor. 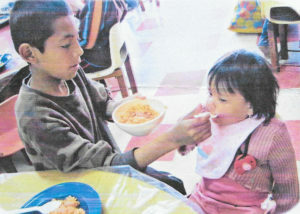 Food is available after 12:00 noon along with raffle tickets, lively Mexican music and friendship. 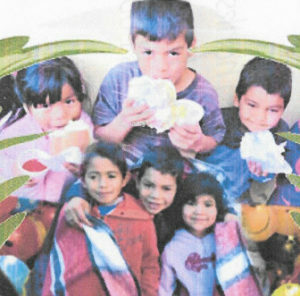 Donations are needed to offset the $12,500 cost for the food packaging ingredients. That’s less than 22 cents per meal! You may donate and sign up at https://saintbrigidparish.weshareonline.org. For more information, call Caroline at 858-761-7744 or email her. 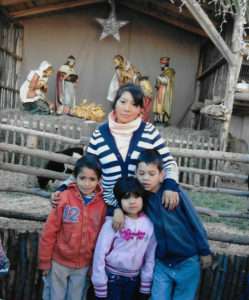 Maria Elizateth, age 34, is a single mother of two daughters, 4 and 5 years old. 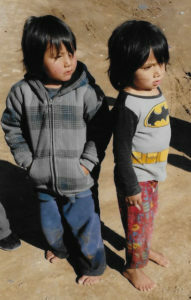 She lives on a piece of “land invasion” near Tecate close to Tijuana East. She works collecting recyclable materials in the dumps for sale to survive. All used items are presorted by the Sisters at the storage unit in Chula Vista and transported in private autos — an arduous task. Permits are required for everything, and used clothing is not allowed in the truck. 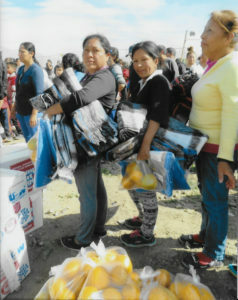 This past year has seen many disasters around the world and in the U.S. We view the situation of the poor in Tijuana as a constant disaster. With your support and the care given by the Sisters at the Casa, may men and women are rehabilitated, move into the stream of productive society, and out of that state of disaster. On September 1 at Our Lady of Grace Church in El Cajon, a wonderful Fiesta party began with Mass. After Mass, a famous Fr. Gil meatball dinner was served, lively music played, then speakers, video, and prizes. This was to celebrate the 70th birthday of Fr. Gil Gentile (a Director of Casa de Los Pobres USA) and the Sisters’ 60 years of extraordinary missionary work in Tijuana. 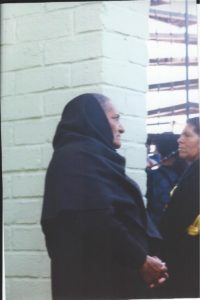 Mrs. Marie Elena Lopez, age 75, came to the Casa de los Pobres the beginning of July, saying her husband died 4 months ago. They rented a small house and had no children. 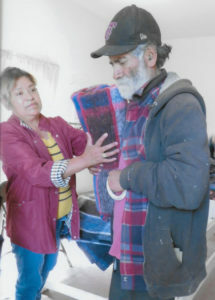 After her husband’s death, she could not pay the rent and begged the owner of the small house to let her live there a few more months, while she found the means to pay or find a job. One day, she left to look for a job washing clothes or cleaning a house. 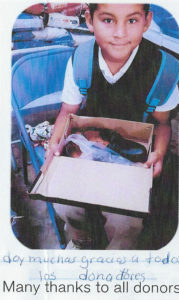 When she returned, she found the door closed and her belongings outside in the street. She had some things of sentimental value still inside, but could not get them back. 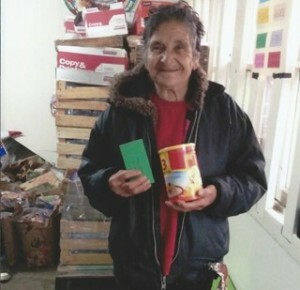 “Jose Luis Perez, 78, a widower, came to the Casa in July, saying he was feeling very sick. He suffers high blood pressure with swelling and pain in both knees. Jose was very tired, because he walked for 3 hours. For 3 days, he had no medication nor money to buy it, nor had he eaten for 2 days.